A (slightly late) Happy New Year everyone! As you might have (not) noticed, I took a little blogging break after Christmas, which was necessary due to being away over the Holidays and starting a new job this month. But now I’m back and filled with an endless amount of sewing mojo! Too bad I mostly only have the weekends now and the wedding is coming closer, so I am (hopefully) channelling all this energy into making a gorgeous wedding gown. Don’t get too excited, I’ve only just started (shame on me!). I’ve been procrastinating for months and now really have to get going. I’m not yet worried as I work best under pressure. Right now I’m working on the muslin, but this will be a seperate blog post. 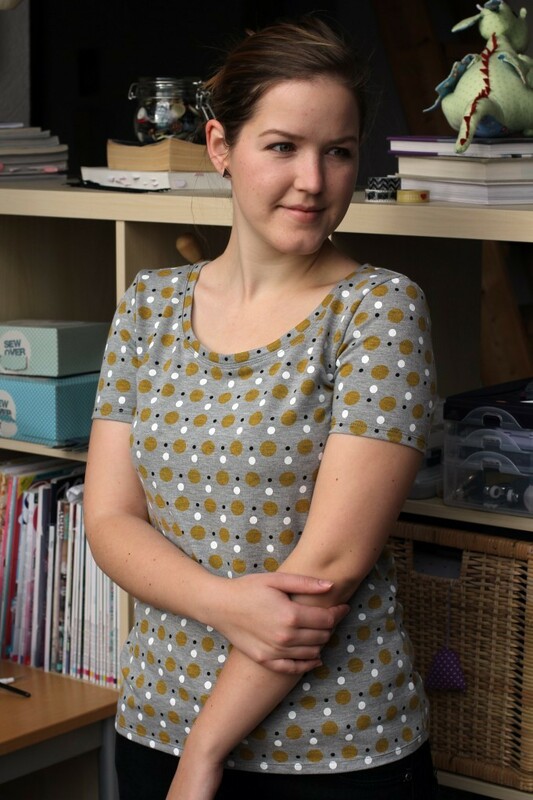 Although I won’t have time to sew much else, there will be quite a few garment posts soon. My 2015 me was clever enough to sew and photograph loads of projects before Christmas, so I’ve got some blog posts lined up. The two Tilly & The Buttons Agnes tops I’m showing you today were Christmas presents for my bff. So, please ignore the fit! We are similar sizes and shapes but the tops were ultimately made for her and not a perfect fit on me. I won’t say more about the pattern, because I already told you how much I love it here and here and here. These two tops are again variations of the original pattern. 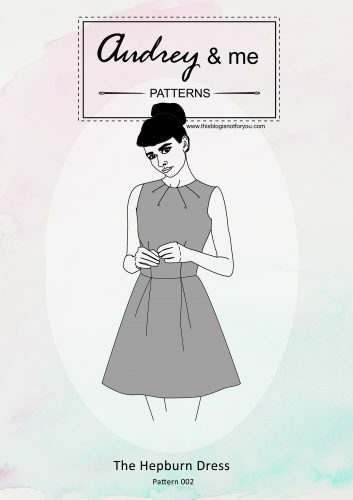 As you might have noticed they are not as figure-hugging as the pattern is intended to be. My friend doesn’t like super tight tops although she’s got a gorgeous figure, so I went with quite a common Tshirt silhouette. For this I simply added more ease around the waist. 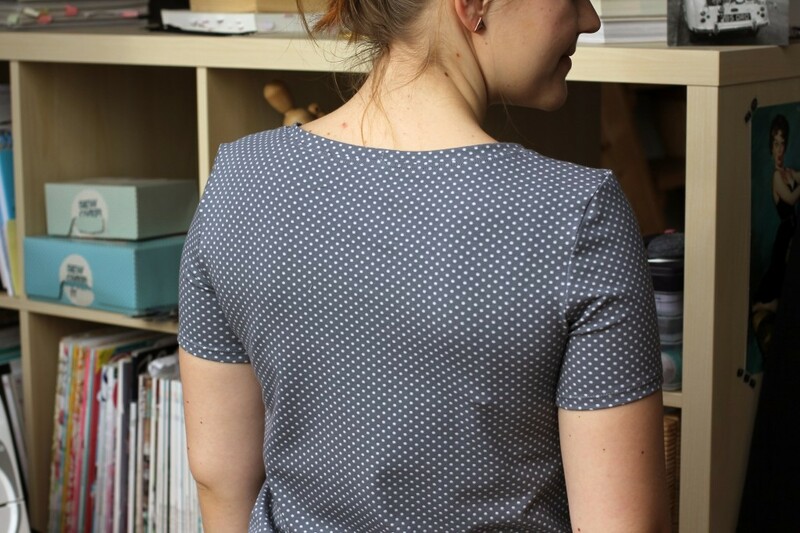 I redrew the side seams so they were more of a straight line starting at the armhole. 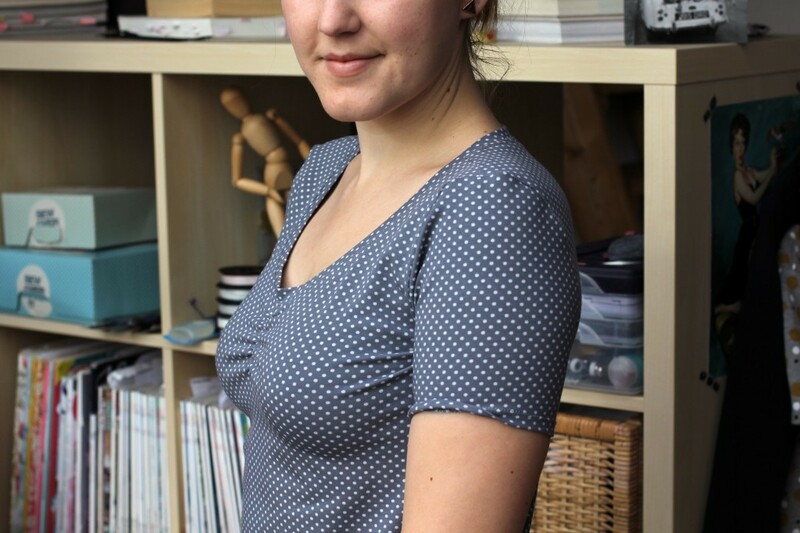 Also, I shortened the sleeves and made them a tiny bit wider around the hem. I left the neckline as it was. 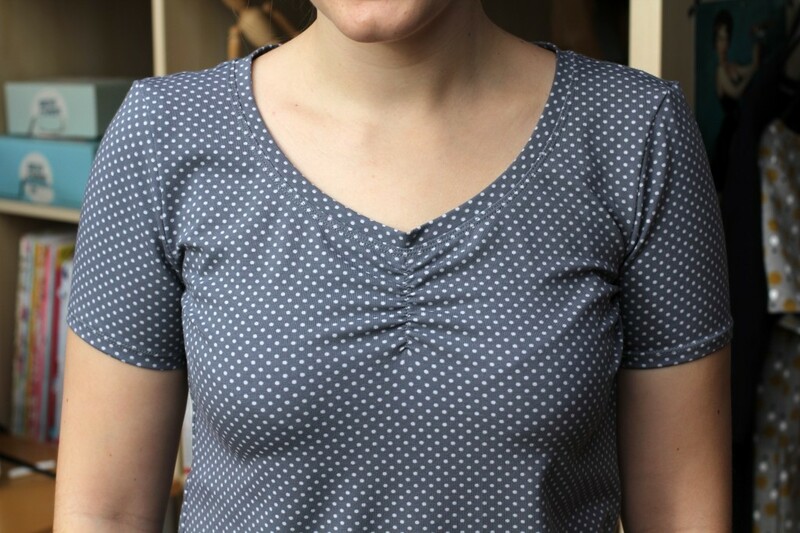 For the second top I went with the ruched sweetheart neckline. 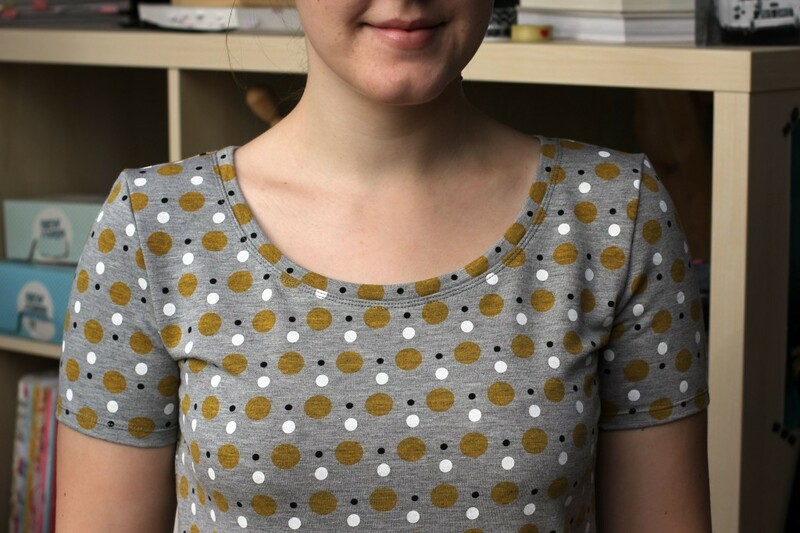 For the first Tshirt I used a slightly heavier cotton knit fabric with a yellow/white/black dots print. 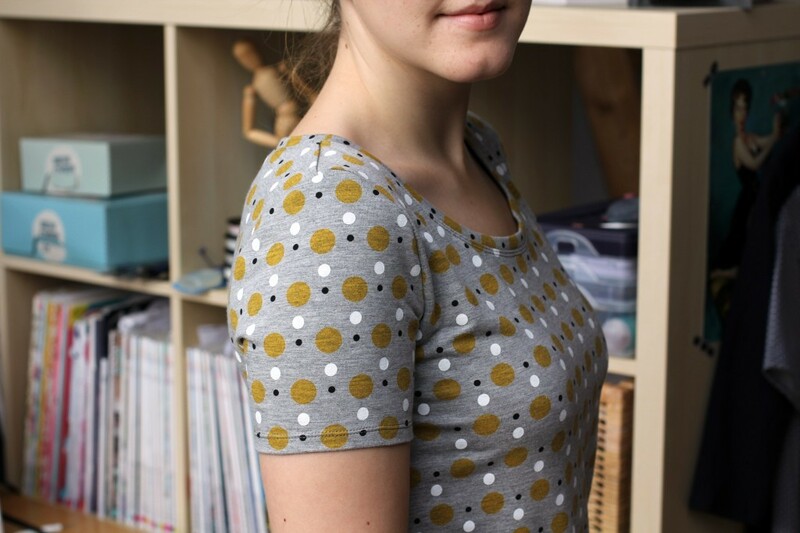 My bestie loves dots, but I wasn’t quite sure about the colours and the texture, so I made a second top just to be on the safe side! This fabric is very soft but quite heavy and reminded me of a cozy warm pyjama. The finished Tshirt looks really cool, though and doesn’t scream pyjama to me. 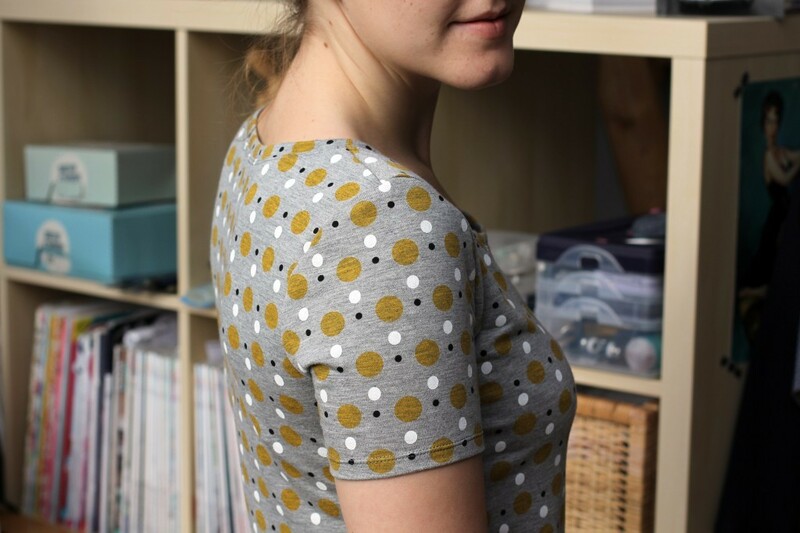 As the fabric was quite thick, I made the simple scooped neckline as I wasn’t sure whether the ruching would work with this fabric. Anyway, I had already bought the second & safe fabric, so I made another one. 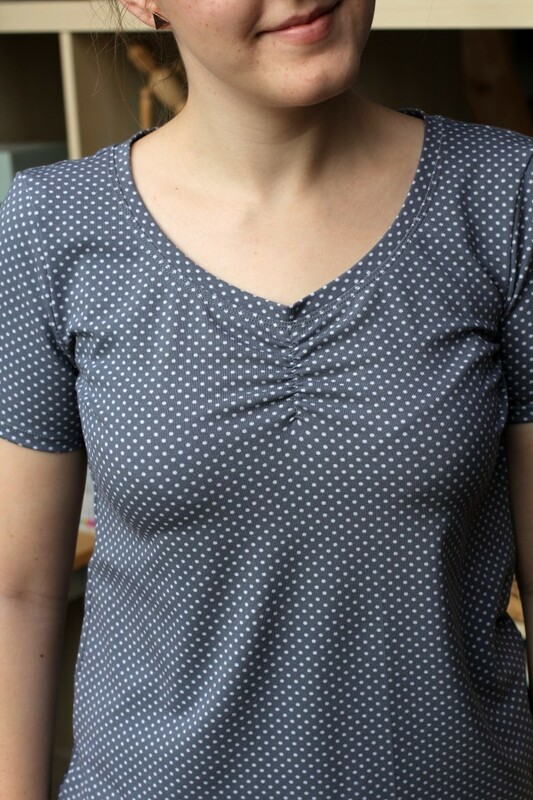 These tops are so easy and quick to sew, it didn’t even make much of a difference. 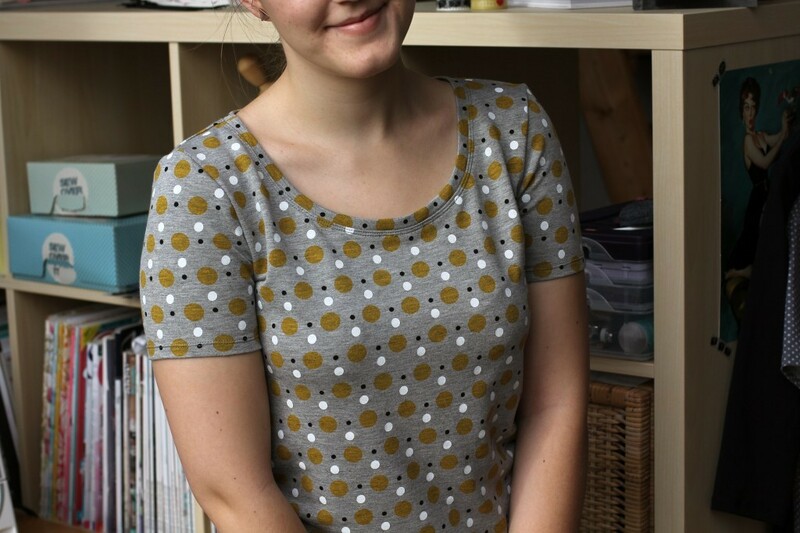 Soo, as you can see the Agnes Top works as a simple Tshirt, as well! 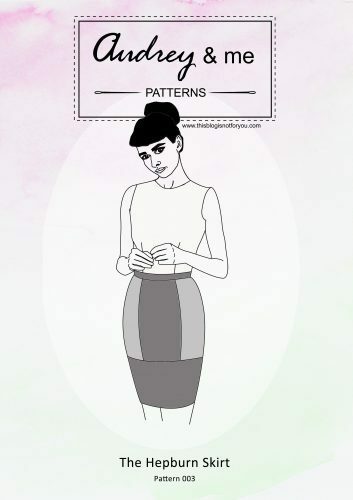 I can’t stress the versatility of this pattern enough. I’ll probably make even more just for the fun of it. 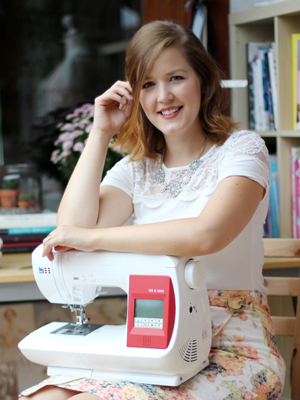 When you have little time, quick sewing projects are so so satisfying! DIY Star Wars: The Force Awakens Christmas Sweater! Your friend is very lucky! These are lovely! These are the nicest T shirts I’ve seen, and you would not know that they were made to fit your friend. You can be very proud of them! Lovely, I like it looser. Looks more comfortable. I agree! Although I love the original Agnes shape, I always feel very selfconcious especially after meals! It’s sometimes just a tad too tight. I felt really comfy in the looser shirts. Aw they are both lovely tops. I love the print of the first top. The t shirt fit really works.